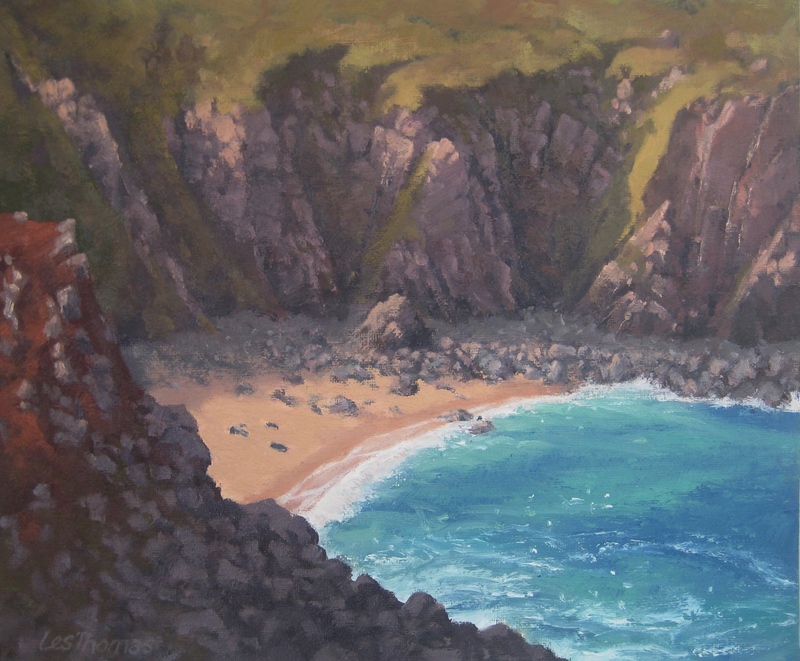 A slightly larger version of my painting Secluded Beach posted 14 March. This oil painting, completed today, is 10 x 12 inches (25.4 x 30cm). I’m trying to simplify shapes and keep the brushwork lively, but as you can see it is still quite detailed for a small painting. This entry was posted in Uncategorized and tagged Art, Cornwall, Gurnard's Head, Maritime painting, Oil painting, painting, seascape., St Ives. Bookmark the permalink. Excellent Painting, good detailing on the rocks.